Cardiff Bay OR St Fagans Museum? The choice is yours! Cardiff Bay is a diverse waterfront built around a freshwater lake known as 'the bay'. A popular destination which includes the Welsh Parliament Buiding, the Wales Millennium Centre and Pierhead Building. Around the waterfront is also Mermaid Quay which comprises a mix of restaurants, bars, shops and cafes to enjoy. The museum chronicals the lifestyle, culture and architecture of the Welsh people. It has more than 40 re-erected buildings from various locations in Wales all set in the grounds of St Fagans Castle, an elizabethan Manor House. 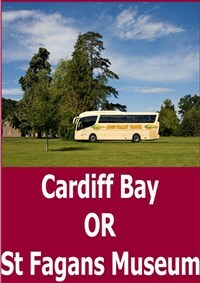 We join our coach for the journey first to Cardiff Bay where we drop the people wishing to visit here, before continuing to St Fagans and its Welsh Living Museum. We start the journey back from St Fagans and on the way we stop in Cardiff Bay to pick up the other passengers before continuing our journey home. 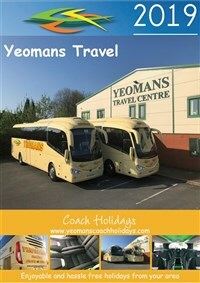 Return Coach travel from your local joining point. 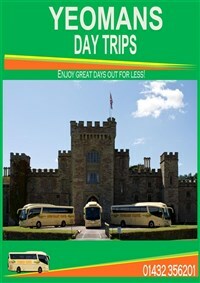 Free time to be spent either at Cardiff Bay OR St Fagans Museum.